Louis de Bernières’s first three novels are The War of Don Emmanuel’s Nether Parts (Commonwealth Writers Prize, Best First Book Eurasia Region, 1991), Se–or Vivo and the Coca Lord (Commonwealth Writers Prize, Best Book Eurasia Region, 1992), and The Troublesome Offspring of Cardinal Guzman. The author was selected by Granta as one of the twenty Best of Young British Novelists in 1993. 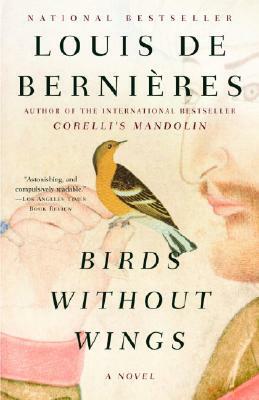 Corelli’s Mandolin won the Commonwealth Writers Prize, Best Book, in 1995. His last book was Red Dog, published in 2001.